The beatification of Venerable Elisabeth Sanna was on September 17, 2016, at 11:00 am, in Codrongianos, Sardinia, at the Basilica of the Holy Trinity of Saccargia. The solemn Eucharistic Celebration was presided over by His Eminence Cardinal Angelo Amato, Prefect of the Congregation for the Causes of Saints. ﻿Elisabetta Sanna was born in 1788 in Sardinia. 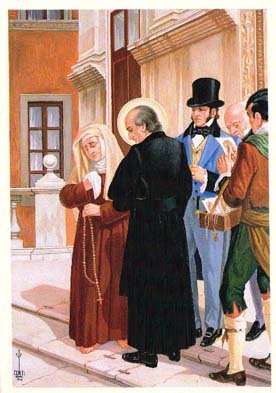 She died with a reputation of sanctity in Rome on 17 Feb 1857 and was buried in the Church of SS Salvatore in Onda. 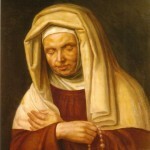 Soon afterwards the recognition of her holiness became very evident, so much so that in just four months, on 15 Jun 1857, her cause for beatification was initiated. St Vincent Pallotti had been her spiritual directer for 18 years and regarded her highly. 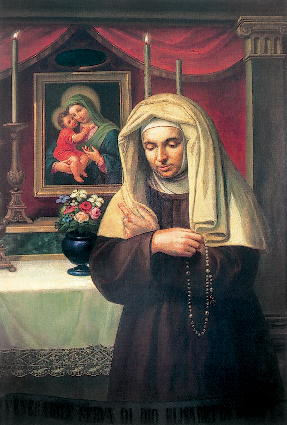 In celebration of the Feast Day of Blessed Elisabetta Sanna on February 17th, we invite you to pray to her the attached Novena, beginning on February 8th. Hopefully it will become a tradition in the Pallottine Family. The Novena can also be prayed at any other time of the year.